Here is my last post for today, he he. And here I would like to show you how to make a Christmas tree garland for decoration of a house or a Christmas tree. Step 1. Fold wrappping paper like a fan. Step 2. Make sure that folded paper is a little bit smaller than a die. Step 3. Use NS MFD015. Step 4. 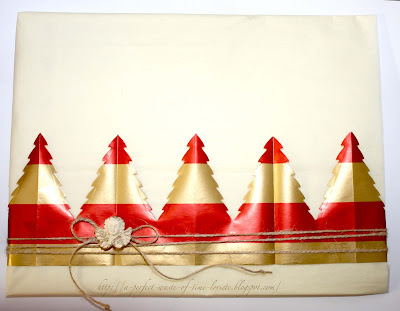 Unfold paper very carefully to a garland. 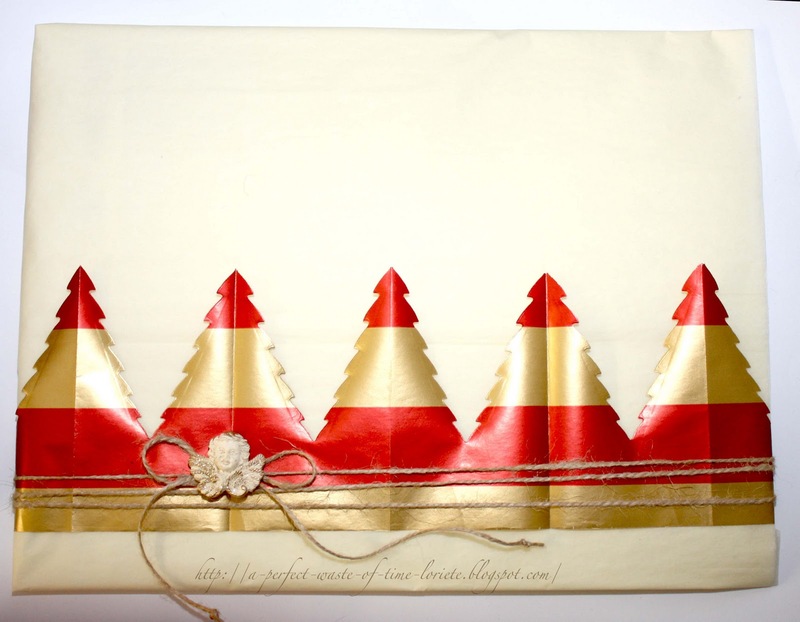 Visit Kortgleder's Advent Calender for more Christmas inspiration!